Temporary Pipeline Strainers | Welcome to Hillside Wire Cloth Co.
A Temporary Pipeline Strainer is installed inside the fluid production line to process filtration and protect the pumps, meters, valves and other mechanical components from the impact of certain matters that are processed through the system. 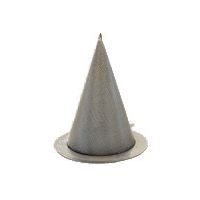 The strainers are made from wire mesh of different metals with a variety of apertures to facilitate the processing of the product. Hillside Wire Cloth Company has a variety of Inline Strainers of good quality and is reasonably priced for our customers in the industry. Applications such as agricultural sprayers, drinking water filters, medical devices and pressure washers have this fitted in their pipeline to give a hindrance free performance. Inline strainers for industrial purposes have standard strainers and custom strainers that can be created for specific design and purpose. 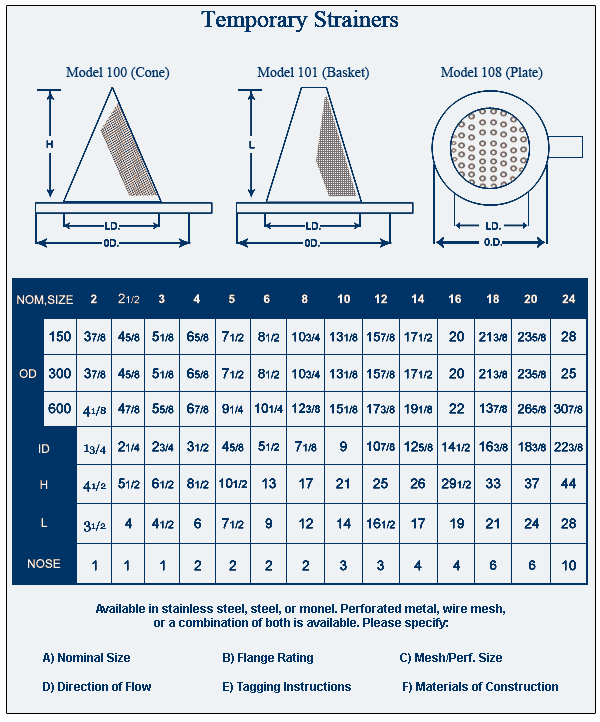 Our temporary pipeline strainers have a plethora of use for both commercial and industrial purposes. The strainers prevent any foreign particles to enter the process for effective production. These strainers are used in power generation, marine, oil and gas, water sewage and pumps, automotive, pulp and paper industries. These strainers are built to go through a stringent endurance test for effective straining solutions. Once the customer decides to order the strainers, we give them the choice of filters they can procure for best results. Our research team finalizes the material and wire mesh to be used to give a high quality output as per the specifications of the customer. Strainers usually provide a protective measure for the system from contaminants and debris that might enter the production process and thereby giving a trouble free procedure. Hillside Wire Cloth endeavors to use excellent quality of material to produce the best strainers and filters of very high caliber, yet at very low cost to give the best offers to its clients.